As I do travel a lot I also take a lot of pictures. But hardly ever put them in a slideshow or even forget to take pictures of important attractions or landmarks. I post pictures on social media randomly but a nice slideshow is even a better way to let me friends and family have some impressions about my travel. I do not have a big camera with me traveling and use my iPhone 6. Now as I spent some time in Berlin I tested the new snippets feature for Sightseeing. 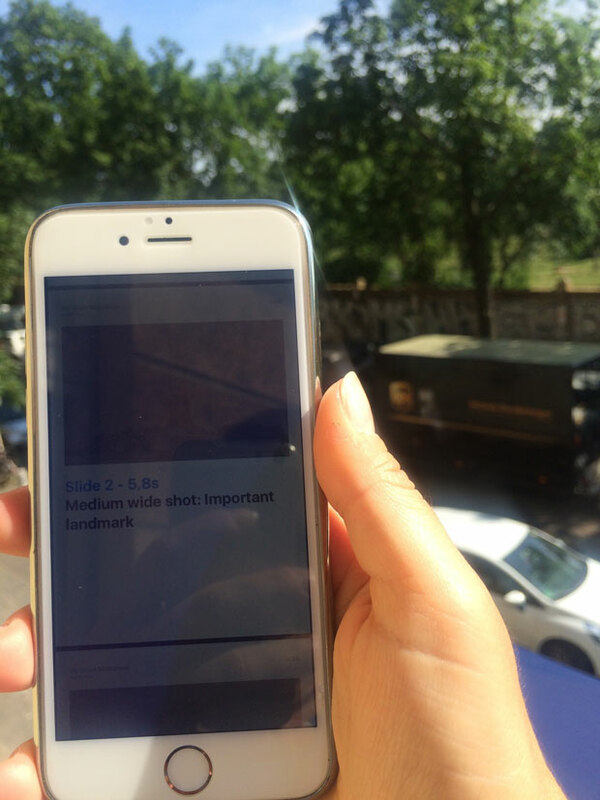 Its so easy to get started: choose the Snippets, create a slideshow and send the shotlist to your phone before heading to your sightseeing tour. 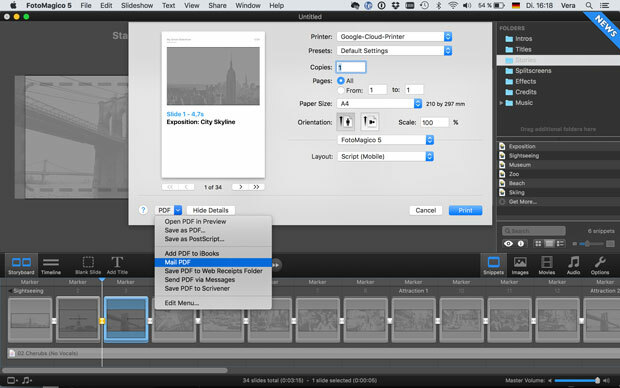 You can also print the shotlist by choosing "Print" from the menu, and the FotoMagico 5 and Script Layout. But as my holiday flat did not have a printer I sent the list to my phone instead. Just choose "Mail PDF" in the Printer Options and you can send the PDF file to an email address, that you can access on your smartphone. Then open the Email, save the PDF to iBooks and you are ready to go. I saved the shotlist to my phone and while exploring the city during the last weeks I kept checking the list to see which pictures are missing and filled the show picture by picture. I made some slight adjustments to the templates. I did not do a bus tour but a sightseeing boat trip on the Spree River. Still the shotlist gives you great inspiration for the next picture and even animated me to do some selfies that I usually don’t really like. It was a lot of fun to think about where to take the next missing shot for the slideshow. And putting the show together is dead easy: the pre-formatted transitions and animations are perfect for the pictures and I just needed to do some slight adaptions. 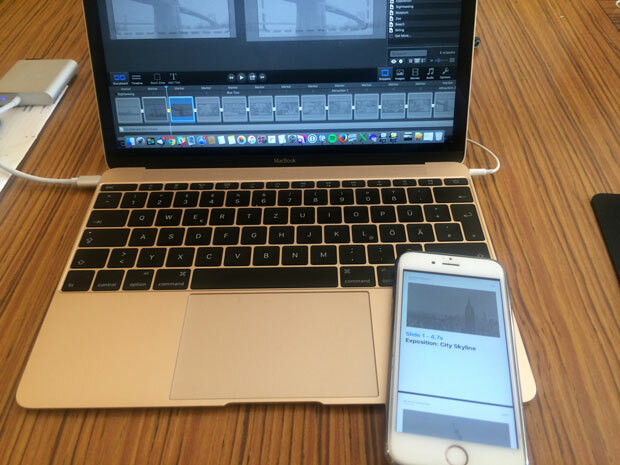 Of course you can also choose different transitions and adjust duration and animations: but it also works with the existing settings and you will have your slideshow ready within minutes. If you use a soundtrack you can add a slide with the credits by choosing the "audio credit" text placeholder and put it at the end of your slideshow. 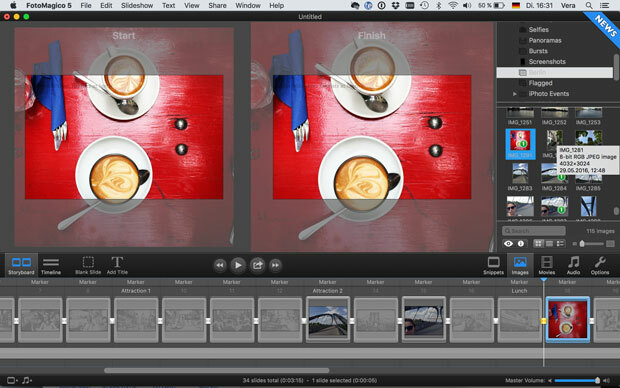 FotoMagico already includes free CC licensed music for different moods and already timed audio markers. Next month I’m going to the Canary Islands and can’t wait to try the next Snippet for the Beach.